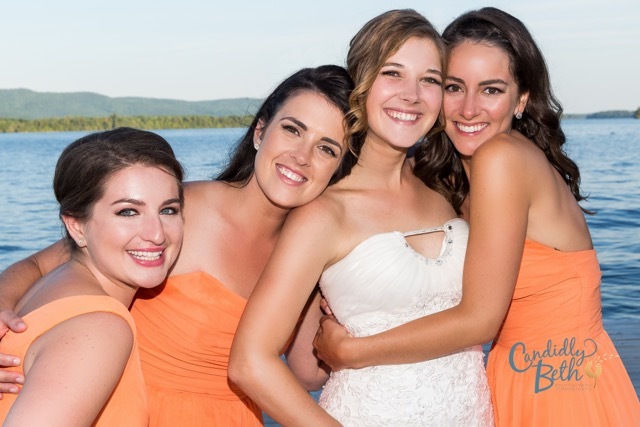 Brittany and Patrick had a beautiful June wedding at The Lake George Club on Lake George in Diamond Point, New York. 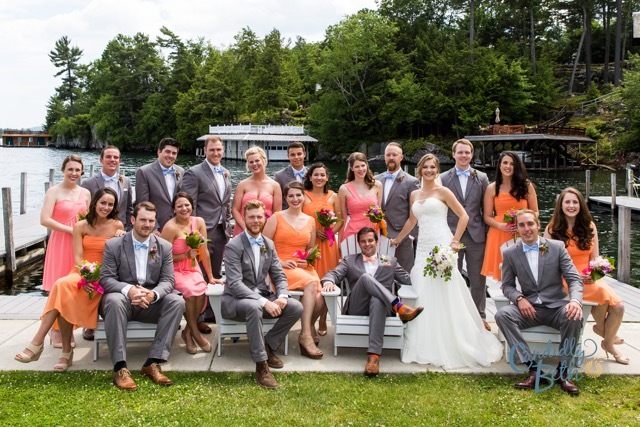 The wedding had pink, orange, and blue as the color scheme. Patrick picked orange and Brittany chose pink and they rounded it up by adding blue as well! 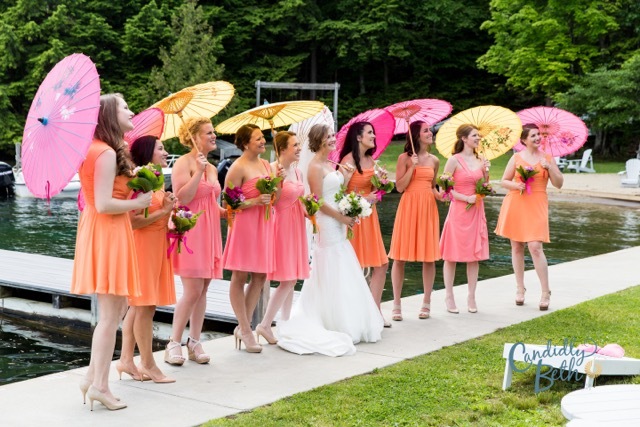 Her bridesmaids were in our Amani, Jessica, Sariah and Kaiya dresses. All photos are courtesy of Candidly Beth Photography. Q: Why did you choose this venue for your wedding? Q: Pick your favorite moment of the day. “The most emotional moment was seeing my husband for the first time at our first look before the ceremony. As I was walking down with my maid of honor to see him, my emotions just started coming out from nowhere. We were finally getting married. As I waited for him the anticipation just kept building, but the second I saw him he made me smile and laugh and all my nerves melted. Try to focus on enjoying yourself and worry about the big things rather than small details that are more than a headache to plan than the reality of it attributing to your day as a whole. My husband and I tried to think about how we wanted our day to be that would make us the happiest. In the end, worrying about big details made it less stressful. There is so much online that you can get lost ‘going down the rabbit hole’ of what people say make a perfect wedding. You can have a wedding that doesn’t break the bank if you decided what is needed. In the end, it’s all about your vision of happiness.